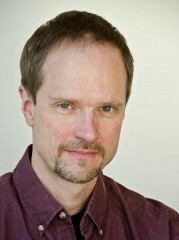 Michael Wehrli has worked as a theatre professional since 1989. His wide ranging experience includes directing, teaching, acting, producing, and theatre administration. A graduate of Texas Christian University with a BFA in Acting & Directing, Michael has been Artistic and Education Director for New Moon Productions since its inception. He has taught over twelve thousand hours worth of workshops, summer camps, and classes to youth actors. His directing credits include over 125 plays performed in many venues in Portland, Oregon, Frankfurt Germany, and the Dallas/Fort Worth area in Texas. Also a playwright, Michael has written or adapted hundreds of plays (his website). 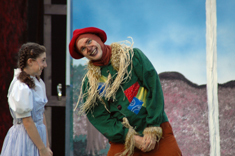 He currently works as a theatre teacher and director and continues to produce & direct shows in Portland, Oregon. Pamela Stringer received her MBA in accounting from the University of North Texas and taught accounting at the University of Texas at Arlington. She has acted at many theaters in the Dallas/Fort Worth area and performed with Murder Mystery Players and Cowtown Mystery Players. 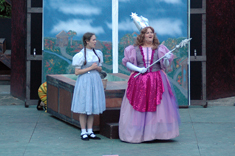 She also taught drama classes at Dallas Children’s Theater, Creative Arts & Theater School, and NMP. Her one-woman show about her early life as a Beatle Maniac was performed several times in Texas. Since moving to Oregon, Pamela appeared in A Christmas Chaos and in Wizard of Oz. Pamela has worked as the fiscal manager for several non-profit organizations and also sees clients on a consulting basis. Her website. She is the co-founder of NMP and continues on as a consultant. 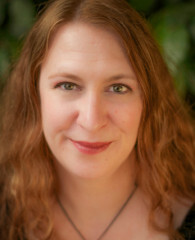 Sara Kennedy Adams received her BA in Theatre Arts at Southern Oregon University. She has been a theatre instructor for Oregon Children’s Theatre since 2002 and was the Center Stage Drama Coach for Spotlight Musical Theatre Academy for 6 years before advancing into the Assistant Principal position in September 2014. 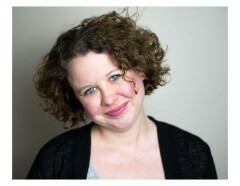 Sara has directed several variety/talent shows and has written original scripts for public schools in the Portland area, as well as directed plays at Multnomah Arts Center through a partnership between New Moon Productions and Portland Parks & Recreation. Sara has sung in various choirs and performed as the lead vocalist in a jazz band, Whetsell Adams. She strives to demonstrate how theatre can expand children’s self-confidence and imagination; improve their vocalization, physicality, creativity, and ability to improvise, meet deadlines, and work as a team all the while inspiring them to use these skills in their day-to-day lives. 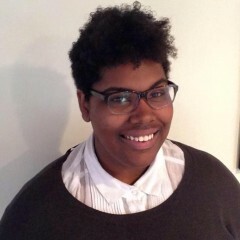 Kenya Anderson is Digital Art Major from Southern Oregon University with a minor in music, and has experience with acting and costume design. She has performed in multiple recitals in Oregon and other states as a classically trained vocalist. Kenya has worked with New Moon Productions on multiple productions. Bryn graduated from Eastern Washington University with a BFA in both Theatre and English Literature. Some of her favorite acting credits include “Maggie” in Lend Me a Tenor and “Octavia Ceasar” in Antony and Cleopatra. She enjoys teaching theatre and loved her years as Director for the home schooling program HomeWorks!, working as the Technical Director for the Cheney High School theatre program, as well as touring as an Actor/Director for Missoula Children’s Theatre. She is incredibly grateful for her family and friends for supporting her in her passions. Rosalind Fell grew up in England and went on to work as a jazz dancer and actress in theatre and television in London. She performed at the Theatre Royal, Drury Lane, as well as many other venues in and around London. She has appeared in many BBC productions for television including Eastenders, Silent Witness and Waking the Dead as well as industrial videos for their training department. 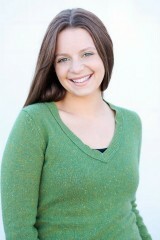 Since moving to Portland 3 years ago, Rosalind has been acting in theatre and teaching musical theatre. Choreography credits include Jungle Book, Seussical and Alice in Wonderland and theatre credits include work at New Moon Productions, Lakewood Theatre, and Quintessence Theatre. Rosalind has taught theatre and dance at Grout and Lewis Elementary schools, NW Academy, and Stagecoach Theatre Arts School. 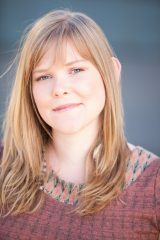 Molly is a teaching Artist, Actor, and Director, specializing in Ensemble-Devised creation, Shakespeare, and K-8 Education. She received a Bachelor’s in Theatre Arts from the University of San Diego, and founded Student Lab Theatre still in existence today. 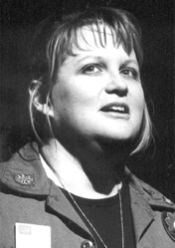 Molly received a Masters in Theatre Education from Emerson College, focusing on Applied Theatre, Theatre for Young Audiences, and Voice Work. 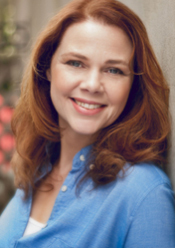 She has trained extensively with Shakespeare and Company in Lenox, MA, and was trained in the Linklater Voice technique. 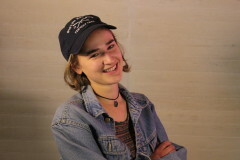 As an actor in the Bay Area, Molly was a member of the Ragged Wing Ensemble of Oakland, CA where she performed in and co-created multiple devised shows, and also taught with their High School program. 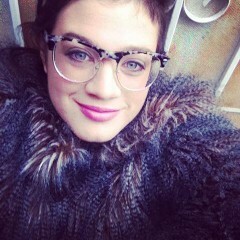 Most recently she Co-Directed an original production called The Fear Project with Open Theatre Project. Now back in the great Northwest where she is teaching with New Moon Productions, Northwest Children’s Theatre & School as well as Oregon Children’s Theatre. 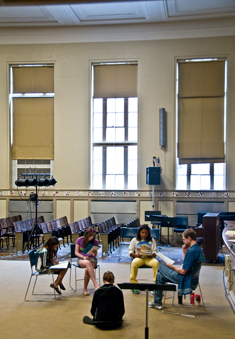 Amy has been teaching theater since 1994. She graduated from the University of Southern Maine with a major in theater and a minor in music. She was a company member of The Theater Project in Brunswick, Maine where she both taught and performed and taught theater and music for Bar Harbor Maine’s Summer Festival of the Arts. Her love of rainy nights brought her to Seattle where she taught for Youth Theatre Northwest, Seattle Pubic Schools and performed with Live Girls! Theater. Her husband brought her to Portland where she now teaches and directs for New Moon Productions, Portland Public Schools, and Oregon Children’s Theater. Myriel Meissner is an educator, director and performer with a broad background in Children’s Theatre. She received her B.A. in Theatre from Lewis and Clark College and continued her education at The Institute for Contemporary Performance, where she received extensive training in experimental composition methods, Suzuki, Viewpoints and Clowning practices. 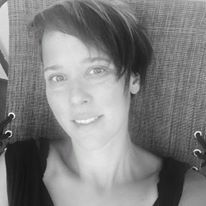 As an educator, Myriel has previously worked with the Oregon Children’s Theatre and as a summer teacher at Cole’s International Preschool and Kindergarden (Innsbruck, AUT). Since 2013, Myriel has worked as a teaching assistant and tutor at Lewis and Clark College, where she also taught the German Conversation Class in Spring 2015. 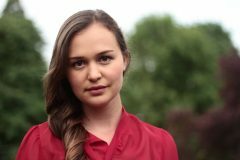 Myriel is an accomplished classical guitarist, three time winner of the Austrian music competition Prima La Musica and receiver of the Evan’s Music Performance Scholarship. In her free time she enjoys to hike, ski and dance and she is thrilled be working as a drama teacher for New Moon Productions. Danielle Pecoff is a graduate of Southern Oregon University’s Theater Arts program. She has worked on a variety of projects as an actor, singer, dancer and director. Her credits include Lisa Morrison in Collected Stories, Percy Talbott in The Spitfire Grill, and Lt. Cdr. JoAnne Galloway in A Few Good Men. 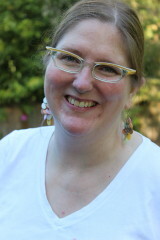 She holds a Master of Arts in Teaching from SOU and works as a teaching artist. She is excited to work with New Moon Productions. JaneAnne Peterson received her JD from Columbia Law School and formerly practiced intellectual property law. She has sung wherever she has been–from school choirs and musical theater in elementary and high school, international tours with a selective choir in college, performing in and music directing the Law Revue Show in law school, performing with community choirs and in churches as a chorister and soloist, and, for the last 8 years, teaching vocal music to elementary students. She can currently be seen with Cántico Singers of Portland. Sophie has been working with New Moon for several years, starting as an intern, then moving up to teaching and assistant director positions. She is a graduate of Emerson College in Boston where she studied screenwriting and media theory. She has been acting on the stage since age seven, and is involved with many short films at her college both behind and in front of the camera, including TV studio work and voice acting. 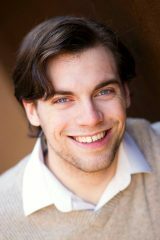 Sam Schultz received his BA in Theatre Performance from Western Washington University. After college he moved back to the Portland area to pursue acting and teaching. Sam has performed with various companies throughout the Portland area including Experience Theatre, Broadway Rose, and Lakewood Theatre Company. 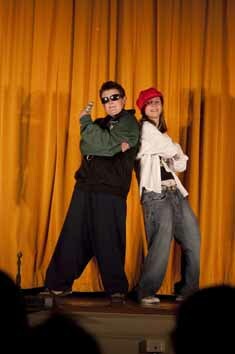 Sam is also a classically trained singer and works as a voice and acting teacher. He has works for Spotlight Musical Theatre Academy as well as teaching private lessons. Theatre changed Sam’s life, and he is passionate in sharing that with people of all ages. He firmly believes that what a student learns about performing is not nearly as important as what they learn about themselves in the process. Chelsie received her Master of Arts in Teaching Theatre at Concordia University, and her Bachelor of Arts in Theatre at Southern Oregon University. Chelsie is a local actor, who has worked with companies such as: Well Arts, Sojourn Theatre, and Curious Comedy. Chelsie is currently a teacher at Oregon Children’s Theatre, and a substitute teacher for Portland and Beaverton Public Schools. Chelsie has also worked for Northwest Children’s Theatre, Growing Seeds, Maverick MainStage, as well as directed a one act for Wilson High School. Chelsie won Portland Metro Parent’s Best Acting Teacher ( for the pint size) for 2015, and is very excited to be teaching for New Moon Productions!